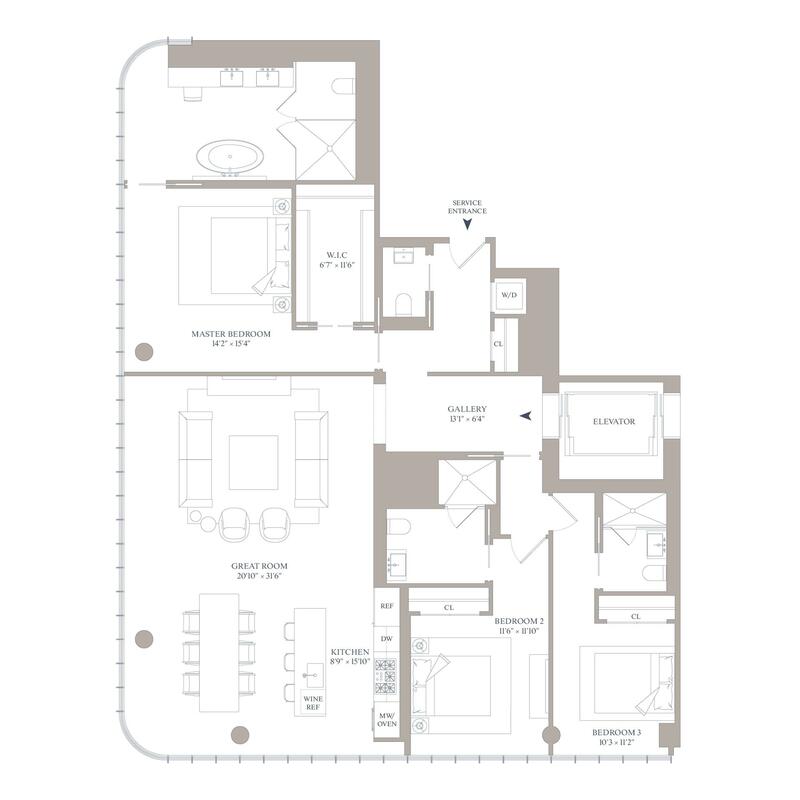 This gracious 2,244 SF, 3 bedroom, 3.5 bathroom residences with10' ceilings and 6 inch wide-plank white oak floors throughout, features expansive south and west-facing views of the Hudson River, One World Trade Center, and the downtown Manhattan skyline. A formal entry foyer leads to a breathtaking corner great room and open kitchen ideal for both entertaining and daily living. Floor-to-ceiling glass wraps this expansive 20'10 inch x 31'6 inch space allowing for abundant natural light and spectacular south and west-facing vistas through the curved façade.